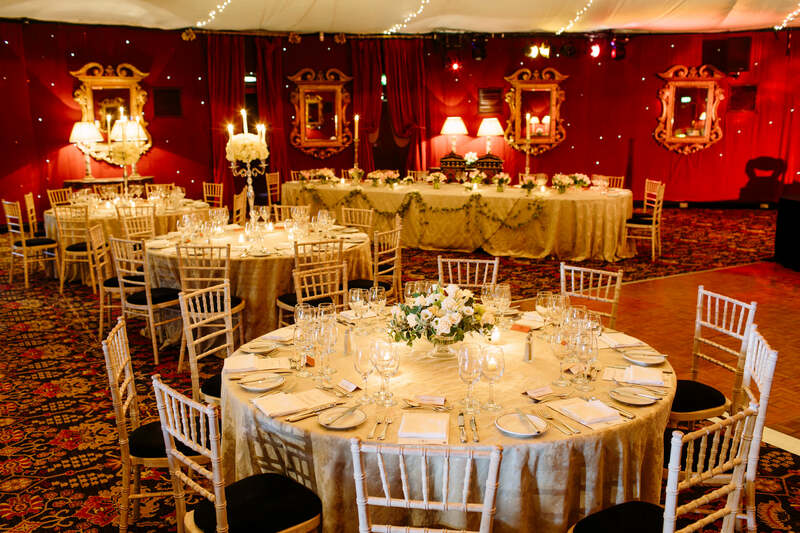 For weddings on a grand scale Prestonfield's circular stables ballroom is the ultimate venue. It accommodates from 120 guests in distinctive and spectacular style with room for the reception, bar, dancing, and entertainment. You'll find everything you need for a spectacular wedding; from the red carpet arrival, exceptional restaurant-quality food and service and everything you need for brilliant entertainment and dancing. We suggest you visit Prestonfield to discover just how it can be perfect for your wedding, but here is some reading until you do.